About this month's list...It is sadly underwhelming, I'm afraid. But not because the book titles themselves are unimpressive, but because our momentum on them has been slow going. You'll notice, most of the books are just carry-overs from last month. Clearly, our personal reading took a bit of a drastic dive in July. In our defense, we did quite a bit of traveling and hosting in that time. Not to mention, two of my kids worked/volunteered a bunch, thus limiting the amount of time they had to spend reading with the rest of us or on their own. 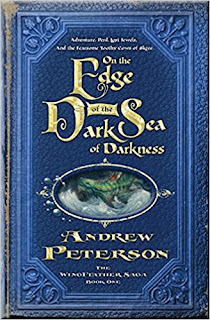 On the Edge of the Dark Sea of Darkness- Yes, you read that correctly. After starting this book in June, we are still slogging through it. In fact, I think we may have only picked it up three or four times in the entire month of July, which stands to prove a little known read aloud theory I've secretly harbored for quite some time: If momma doesn't like the book, the book will never get read aloud. Please believe me when I say that the book is great. My kids are loving it. I just don't personally care for the fantasy genre. It is a struggle for me to get excited about reading this or any other Narnia-esque book. Therefore, I've just not read it aloud as much as I should or could have. But I will keep chewing off bite-sized pieces as I'm able and I'll eventually finish it. Pinky swear! Caroline: Little House, Revisited- When two books that I had previously requested arrived at the library pick-up desk on the same day, I was faced with a real conundrum. I couldn't decide which book to start first. I took to Instastories for some advice. 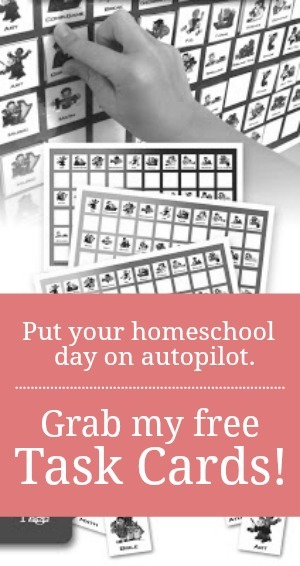 As always, the lovely readers of The Unlikely Homeschool came through and overwhelmingly pointed me towards Caroline. I have since received word that there are a few scandalous parts in the pages. 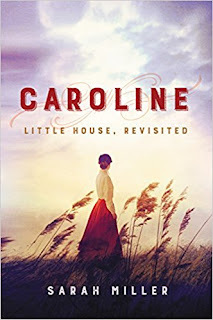 I'm not sure how "scandalous" will actually translate in the life of Caroline Ingalls but I'm willing to risk forward motion, knowing that I have the other book waiting in the wings should the storyline become noticeably inappropriate. Daring to Hope- My girl has been working at a Bible camp on and off through most of the summer and hasn't been home long enough to finish this book that she started back in June. Not to mention the fact that she's also trying to catch up on the Brio subscription she received for Christmas. 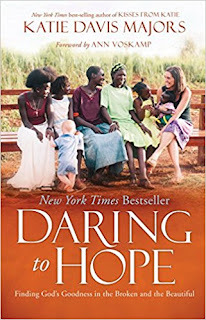 Daring to Hope is the sequel to Kisses for Katie, the memoir of a young lady who left the luxuries of America to spread the hope of Jesus to the frail and orphaned of Uganda. Big Red- Like my daughter, my oldest son has barely been home this month. He's been volunteering with an organization that makes and serves sack lunches for underprivileged children in our area. He's also spent a great deal of time training with his fellow CAP cadets. I'm not making excuses for his inability to finish this book that he started last month. These are just the facts. 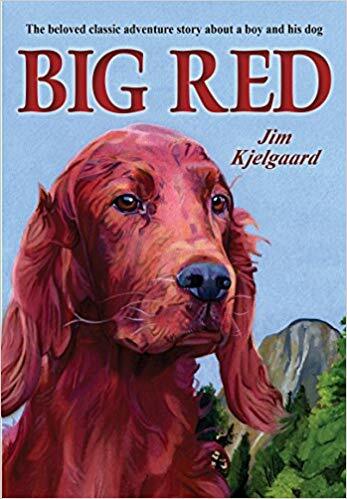 Please note: Kjelgaard wrote in a different era of children's lit and chose to write about an off-the-grid culture that was particularly rugged. Occasionally, you'll find a swear word like he*l or da*n in his stories. The Horse and His Boy- After finishing The Lion, the Witch, and the Wardrobe last month, my son was eager to move on to the next title in the Narnia Chronicles. He's a super fast reader and can often finish a book in one day. So, I've no doubt he'll be moving on to Book 3 by month's end. 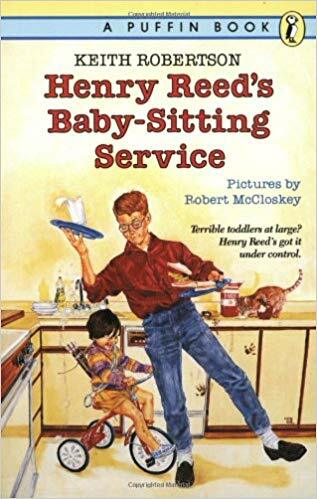 Henry Reed's Babysitting Service- We read the original Henry Reed, Inc. together as a family a few years ago and thought it was hilarious. Now, all my boys are slowly taking turns reading this sequel. 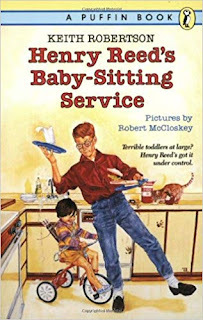 In the same tone as the first book, it details the misadventures of Henry as he tries to establish a new line of work for himself. Basic Phonics Readers- My youngest son is currently making his way through this set of phonics-based basal readers that correspond with his phonics program. They are eye-catching, simple booklets that focus on the specific sounds he learned last year in kindergarten. Black Beauty (abridged version)- This is a beautifully illustrated, vintage version of the original Anna Sewell classic. 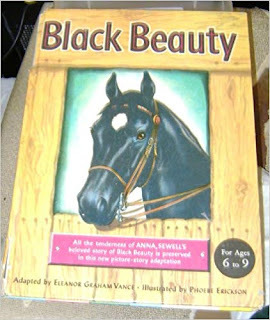 Sadly, it's not broken up into chapters but instead is a lengthy picture book which makes it hard to know where to stop and start our readings each day. That's what we'll be reading this month. Oh, I know your daughter loves, loves, loves On the Edge of the Dark Sea of Darkness, and I read it based on her recommendation, and I am a lover of fantasy novels. I'm speaking gently for the reasons above when I say it's a cute book, but it is not great fantasy. 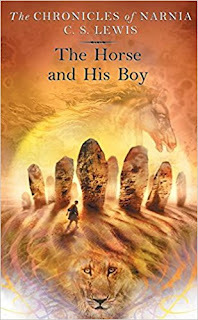 The author has an engaging style, and the plot is interesting, and there's a good moral to the story, and it is pretty cool that the kids actually have involved parents/grandparents instead of being on their own, but there's a certain quality missing from this book that would make it truly great fantasy. If you're not loving it, you're not alone. My daughter and I actually had a conversation about this last week. She says you have to read the entire series to get the full experience. The first book is apparently the SET UP for the rest of them. I'm not sure that I'll continue on after Book 1, but I think some of my boys might read the others on their own. Well, I'm taking a deep breath and reserving the next book at the library . . . Fingers crossed that you like it! Let me know what you think. Hang in there with the Wingfeathers. The language and all the silly names put me off at first because it was hard to read aloud. Now we have poured through all of his books and wish there were more in the series. That's exactly what my daughter has been telling me. "Keep at it, Mom! It gets sooooo good!" Read aloud - The Penderwicks in Spring. We love it so far, but it is strange to get used to the kids all being older! Sophomore daughter - She is reading "Three From Galilee" for spiritual formations and "The Last Book in the Universe" for literature. This one is required reading for her writing curriculum this year. 6th grade son - He is reading "The Miraculous Journey of Edward Tulane". Excellent! This one is a recommendation I think I read from you. I read it very quickly this weekend and he is having a hard time putting it down. Kindergarten son - He is reading all kinds of books, including his phonics series. Not one book in particular. Three From Galilee? That Sounds interesting. Gonna go look into that one right now. So glad your son is enjoying Edward Tulane. That was a house favorite here.